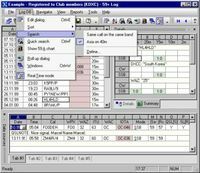 Ham radio logging program. Supports DXCC, IOTA, WAC, WPX and other awards. 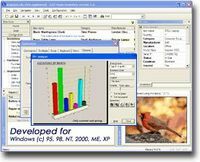 Alive Diary is a full-featured personal diary and a powerful blog client. 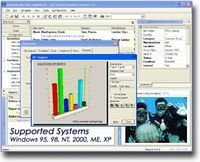 Popular scuba diving software log and image collection diary for Windows. The Complete Car Care Software for your Pocket PC. Car Care Software. The solution to tracking and managing your car maintenance. 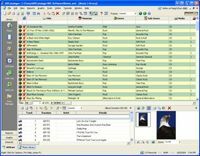 Catalog your favorite music, video, software, and book collections, with CDDB. 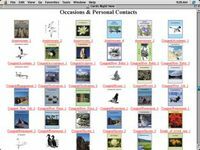 Complete computerised bird watcher's log and image collection for daily use. Biorhythms Guide - your helper in health care. 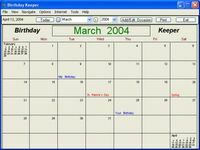 Birthday Keeper will remind you of upcoming birthdays and anniversaries. 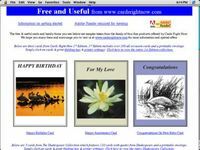 Professional book writing software. The fast way to a best seller! 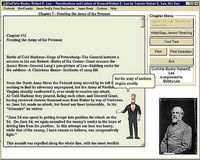 Learn about Civil War Confederate General Robert E. Lee. Quotes, notes, and facts of the Civil War. Text-To-Speech, this software talks. Outputs text files as Morse code. Use the built-in code sounds or roll your own. The latest in quality political/artistic fashion statements for T-shirts, etc. 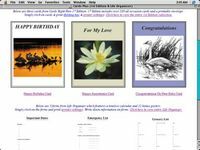 Greeting cards, note cards and handy forms, formatted and ready to print. Gift and idea tracker for any occasion. Track gifts given, received, ideas, etc.